This year, it has been exactly 10 years since the creation of Queenie. Big thanks to all of you who have supported us and helped us make it this far! 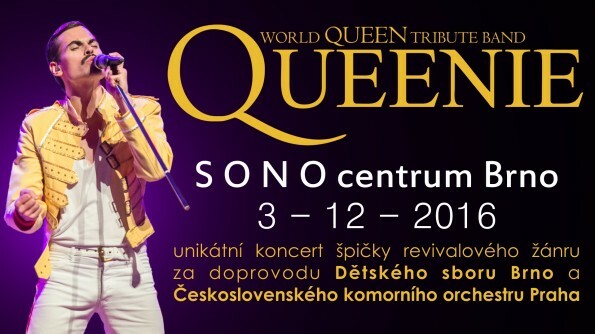 We are looking forward to meeting you again and because we are happy to have you, we have prepared a unique concert at the premises of the most modern club in the Czech Republic. On December 3, 2016, together with the Czechoslovak Chamber Orchestra Prague and the Brno Children's Choir, we will play a concert of a new dimension at SONO in Brno. You can look forward to a rock show as well as to a somewhat „more serious“ performance.